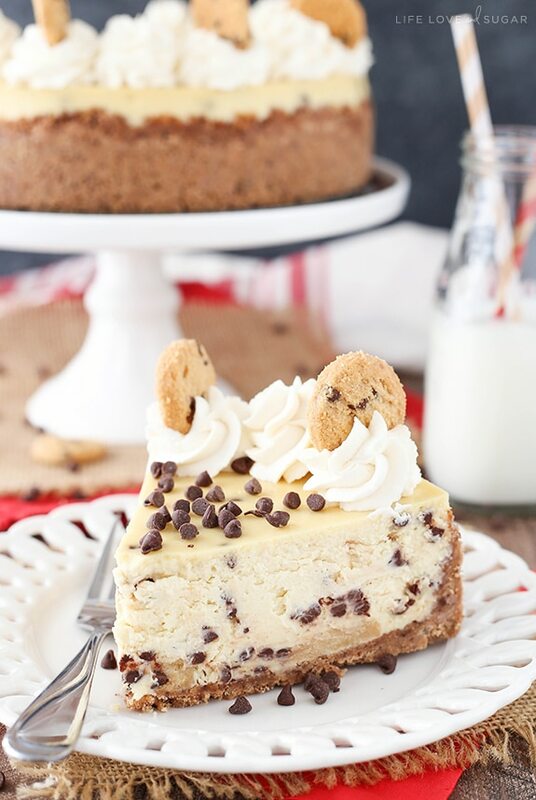 This Chocolate Chip Shortbread Cheesecake has a chocolate chip shortbread crust, is filled with mini chocolate chips and chocolate chip shortbread and is topped off with whipped cream, mini chocolate chips and more chocolate chip shortbread. 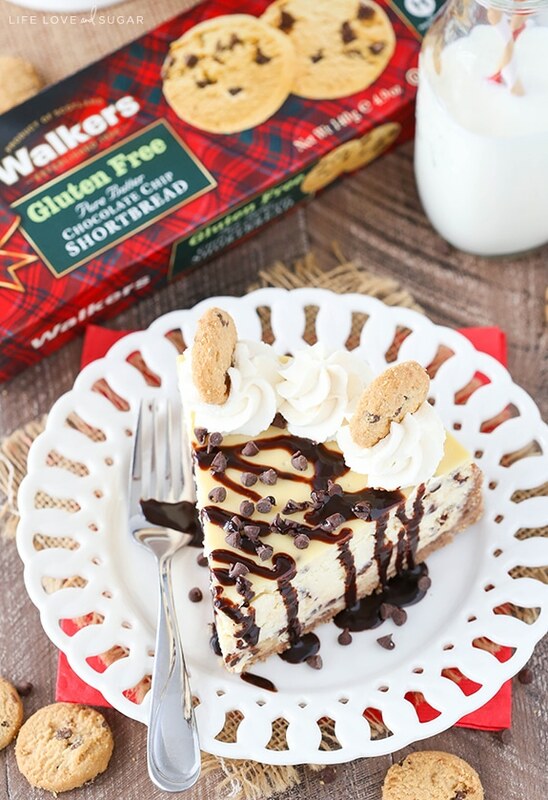 It’s a chocolate chip and shortbread lover’s dream! So one of the great things about working with Walkers Shortbread is that we have lots of shortbread around. 🙂 The tough thing is not eating it all right away. 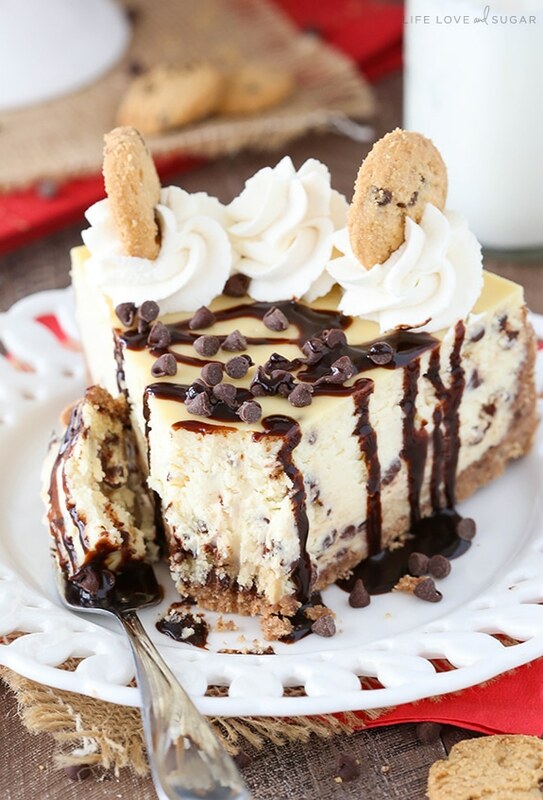 I had the chocolate chip shortbread sitting out on the counter the other day when I was getting ready to make this cheesecake and when I went into the kitchen to get started, the hubs was standing there just eating away at them. He was apologetic, but not really sorry. 🙂 They’re just too tasty of a snack. Fortunately I still had plenty – both for the cheesecake and for more snacking. So let’s talk about putting this beauty together. To make sure there was plenty of chocolate chip shortbread cookie flavor, I used the shortbread in the crust, the filling and on top. You’ll want to toss the shortbread for the crust into a food processor to make the crumbs. You should have about 3 cups of crumbs, which makes a generous crust. I don’t know about you, but I think the crust is one of the best parts of the cheesecake. Especially when it’s chocolate chip shortbread. For the filling, the brown sugar and mini chocolate chips give it some chocolate chip cookie flavor. To make it even better, a full layer of chocolate chip shortbread is dipped in milk and laid in an even layer in the bottom of the crust. The milk and moisture from the cheesecake soften the shortbread, making them nice and chewy. There’s seriously so much awesome in every bite! The hardest part about making a cheesecake is waiting for it to bake and cool. It takes some time, but it’s SO worth it! When it’s ready, I topped mine with some whipped cream, mini chocolate chips and a few mini chocolate chip shortbread. I used regular sized shortbread for everything else, but thought the minis were just the right size for the top. Of course, if you have left over regular shortbread, you could use those too. 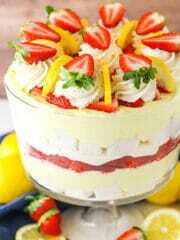 This is definitely a delicious and beautiful cheesecake! I have no doubt you’ll love it! 1. Preheat oven to 325°F (162°C) . Grease a 9 inch springform pan and line the bottom with a parchment circle. 2. 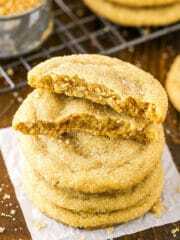 Place shortbread for the crust into a food processor and pulse until you have about 3 cups of crumbs. 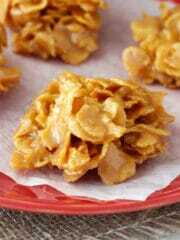 In a small bowl, combine the crumbs and melted butter. 3. Press mixture into the bottom and up the sides of the springform pan. 4. Bake crust for 10 minutes then remove from oven. Allow to cool for a few minutes. 2. In a large bowl, mix the cream cheese, sugars and flour until combined (Use low speed to keep less air from getting into the batter, which can cause cracks). Scrape down the sides of the bowl. 5. Stir in the mini chocolate chips. 6. Place the milk into a small bowl. Dip the shortbread rounds into the milk and line the bottom of crust with them. 7. Pour the cheesecake filling into crust, covering the shortbread. 8. Place springform pan (covered with aluminum foil) inside another larger pan. Fill the larger pan with enough warm water to go about halfway up the sides of the springform pan. The water should not go above the top edge of the aluminum foil on the springform pan. 9. Bake for 1 hour and 10 minutes. 10. Turn off heat and leave cheesecake in oven with door closed for 30 minutes. 11. Crack oven door and leave the cheesecake in the oven for about 30 minutes. 12. 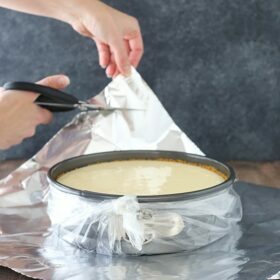 Remove cheesecake from oven and chill until firm, 5-6 hours or overnight. 13. To finish off the cheesecake, whip heavy whipping cream on high until it begins to thicken. 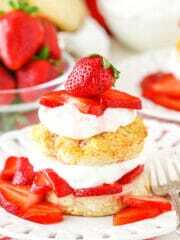 Add powdered sugar and vanilla extract and continue to whip on high until stiff peaks form. 14. 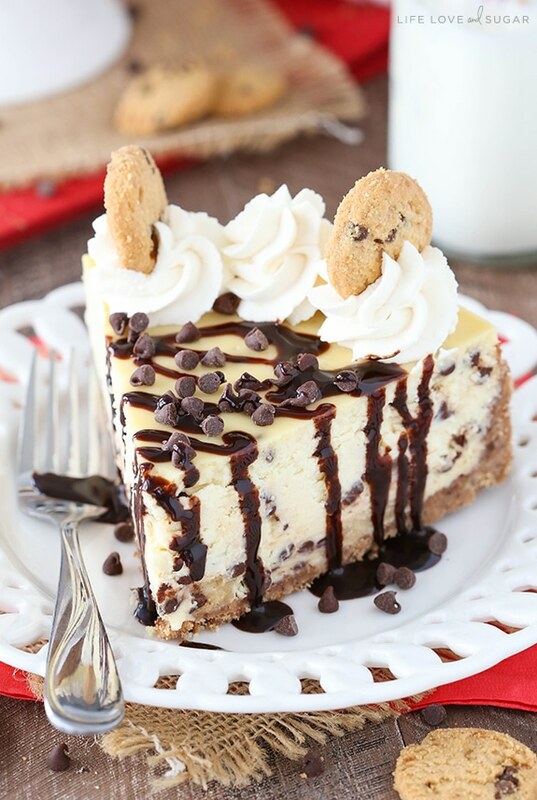 Pipe the whipped cream around the top edge of the cheesecake, then top with mini chocolate chip shortbread rounds and mini chocolate chips for decoration. 15. Refrigerate until ready to serve. Serve with chocolate sauce, if desired. 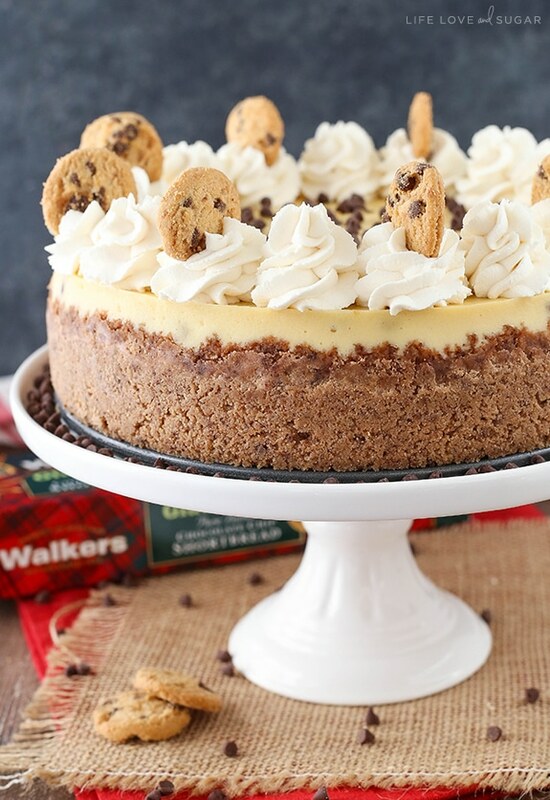 I used four 4.9 oz packages of Walkers Chocolate Chip Shortbread for this cheesecake. Three for the crust and one for inside the cheesecake. I used 8 additional Mini Chocolate Chip Shortbread for the topping. As always, stunning. 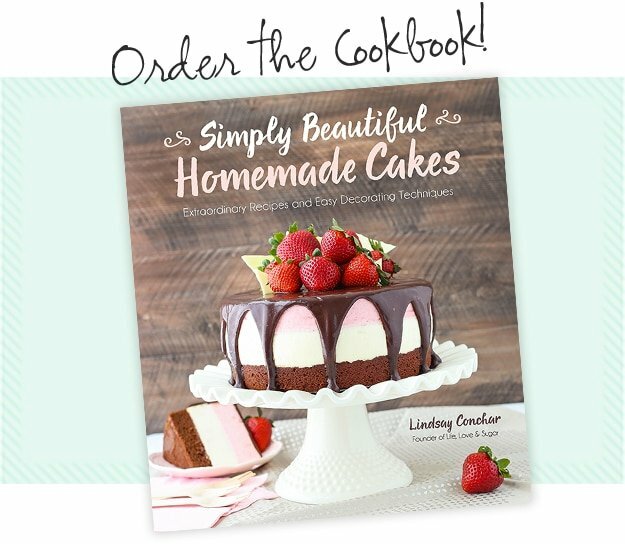 I was excited to come to your site this morning because I had a feeling it was a gorgeous cake kind of morning! Haha, total defiance. 🙂 Thanks Mir! Thanks Lynne! You should definitely give it a try! 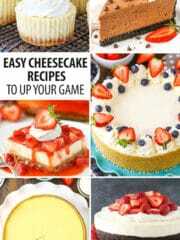 Baked cheesecakes are great! I’m definitely going to bake this one soon! 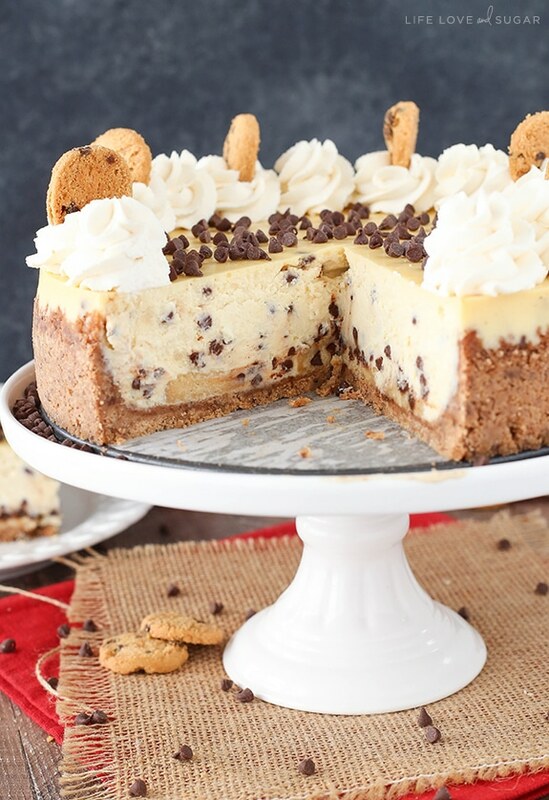 I totally prefer baked cheesecakes over no-bake. 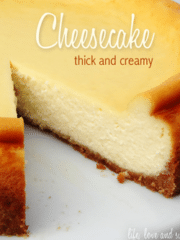 Have you tried the cheesecake moat? It’s a God-send! I hadn’t even heard of the moat! It looks worth trying – thank you! 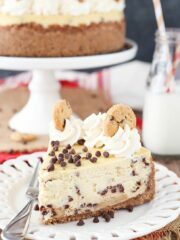 This cheesecake is indulgent heaven! Definitely a showstopper! I hope there is a slice for me in the freezer! Hint hint. 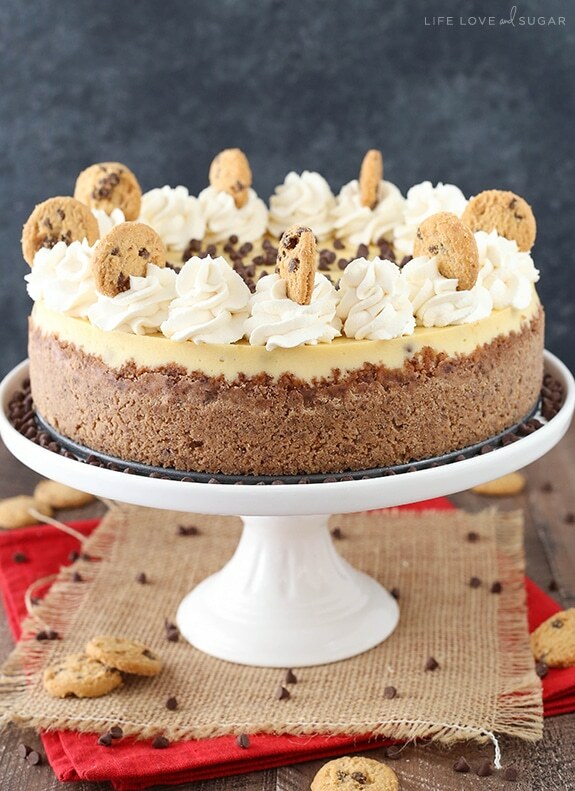 Chocolate chip cookies AND cheesecake?! This is incredible! It’s hasn’t been published yet. Still working on it, actually. 🙂 It’s scheduled for release in October. Thanks! 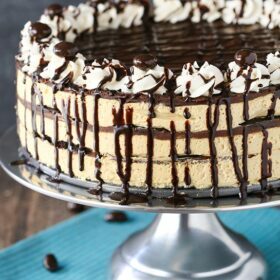 What a perfect looking cheesecake! Love the chocolate chip shortbread! Hi there! At what point do you cover the cheesecake in the fridge if you chill it overnight? Thanks! I will usually cover it the next day. It should be fine. Instead of the Sour Cream, could you use Baileys Coffee Creamer? Seems like this would provide a sweeter, cookie flavor…. Do they have a cookie flavored creamer right now? Or would you use vanilla? I would think if you just want a stronger vanilla flavor that adding a little more vanilla extract would be an easier way to achieve that. The creamer would be much thinner than the sour cream and with the batter already quite thin, you’d certainly need to add to the baking time. It would probably be ok though. Can I omit the use of the milk and shortbread cookies inside the crust, on the recipe? 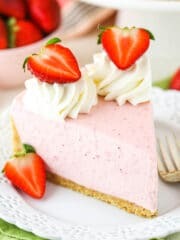 Hi I would like to make this recipe but a mini cheesecake version.do you have any recommendations as to modifying the recipe? Great idea! 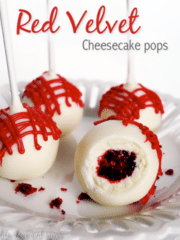 It’s probably easier to check out one of my other mini cheesecake recipes. This one should be helpful – the instructions as far as adding things to the pan and baking time will be similar. Yes, it helps to remove it from the springform bottom. Brilliant, delicious and a great success! 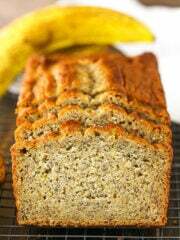 Very easy to make and I followed the recipe as it reads except, I used less sugar because we are all trying to cut down on the white stuff and I feel it enhanced the rest of the flavours.